Do you picture yourself walking along the Champs-Élysées carrying a baguette under your arm and wearing your beret? The only thing missing from this picture is Dolley-41. These Ankle Strap Pointed Toe Flats give your outfit some French flair that make you say, "oui". Ankle Strap Pointed Toe Flats for $21.95 + FREE SHIPPING! 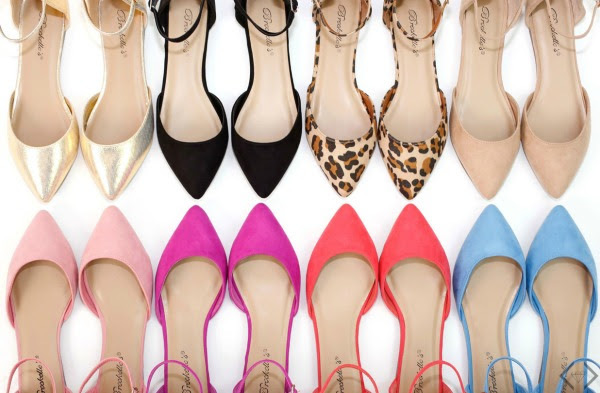 Use code is ONPOINT and it makes each pair of shoes $21.95, with FREE SHIPPING.